For outstanding precision, this watch from Breitling's Navitimer series is the ultimate solution. A watch made for those who love to travel, stay in touch with home and new friends with the GMT bezel. 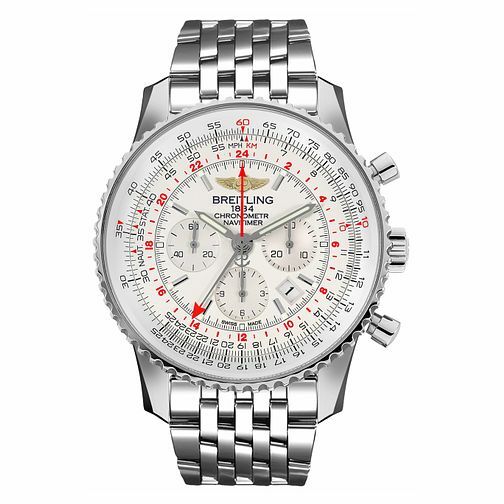 Features a white dial with a date aperture and three chronograph sub dials, finished with the Breitling logo.